SITES helps foster the development of green infrastructure, which is defined as any practice that uses or replicates natural systems to achieve a desired outcome. 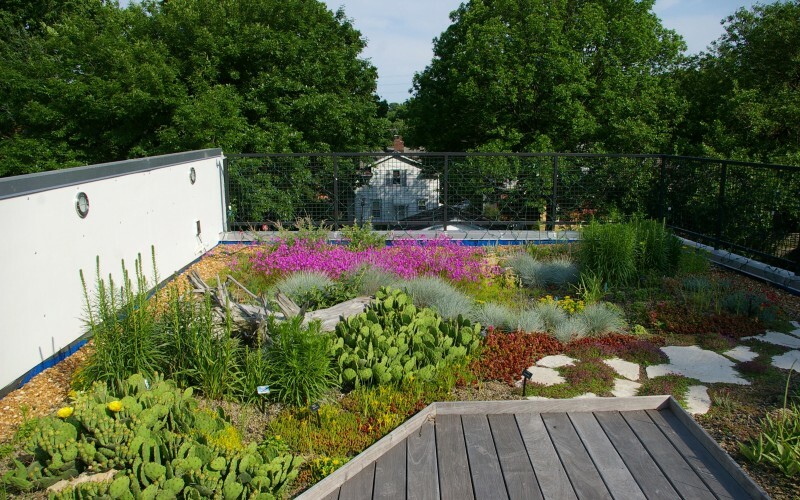 Green infrastructure practices (e.g., green roofs, rain gardens, bioswales, pervious pavement) are now being used by cities around the world. By looking to nature for guidance, SITES helps project teams in creating environments that improve water quality, control erosion, mitigate flooding and provide wildlife habitat. The comprehensive rating system distinguishes sustainable landscapes, measures their performance and elevates their value. SITES certification is for development projects located on sites with or without buildings—ranging from national parks to corporate campuses, streetscapes to homes. Learn more about SITES certification. 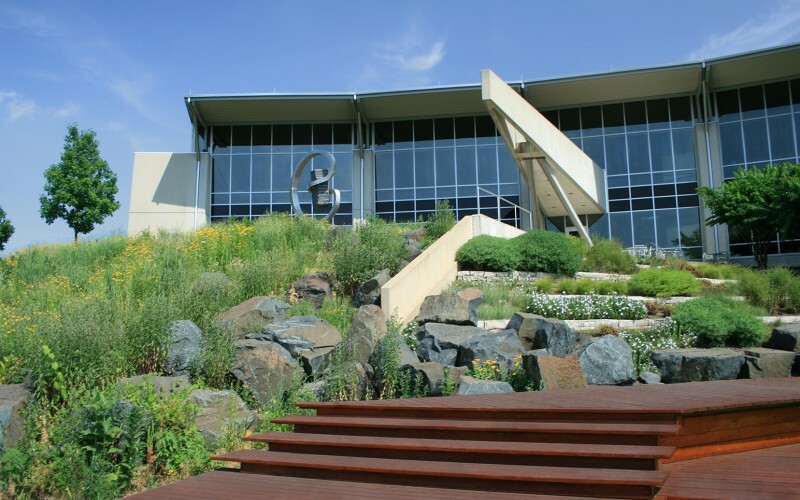 The most notable aspect of the 2015 SITES-certified Tuthill Corporate Headquarters Campus is its focus on water. Rainwater is directed from the roof surface to the landscape in a visible, artful fashion. The native landscaping, which was restored or created on site, helped to virtually eliminate surface water runoff and minimize localized flooding. Hardy, indigenous plant species used for this project helped eliminate the use of toxic chemicals in the landscape, as well as provide a habitat for dozens of insects, birds and animals. The Helix Environmental Planning Inc. Headquarters, a 2015 SITES-certified project, is located in La Mesa, California, approximately 12 miles east of the Pacific Ocean. As a semi-arid steppe climate, the area typically has hot, dry summers and warm winters with a total annual precipitation average of about 13 inches. 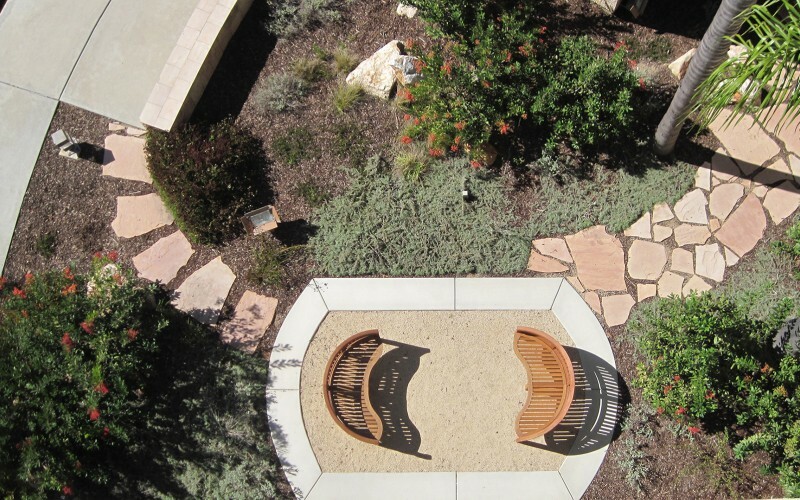 The design of this project helped transform the space from an irrigation-intensive, lawn-based landscape to a native and drought-tolerant garden. Addressing water usage by reducing irrigation needs and reclaiming water runoff for future use were important strategies in achieving sustainability goals. This project installed a desiltation box on the northwest corner of the site to hold up to 1,000 cubic feet of runoff, allowing Helix to trap and treat approximately 85 percent of rainwater that falls on the site. The SWT Design Campus, certified in 2012 and located in St. Louis, Missouri, is a contemporary studio addition that was integrated onto the south side of the original SWT Design Office. Native Missouri plants compose the plant palette, and over 95 percent of stormwater is managed on site. Additionally, approximately 75 percent of the campus’ surfaces are pervious, which allows stormwater to pass through the surface and into a system of underground stratified percolation pits, which dramatically reduces stormwater runoff. The campus also includes a green roof to reduce radiant heat, slow stormwater runoff, filter water and airborne pollution, provide additional insulation value, extend the life of the roof membrane and promote a beneficial insect habitat. SITES-certified projects foster healthy, resilient environments that provide numerous benefits, such as reducing resource consumption, managing stormwater runoff, providing habitat, regulating climate and improving quality of life. To read more about these and other SITES-certified projects, visit our SITES project directory page for case studies.